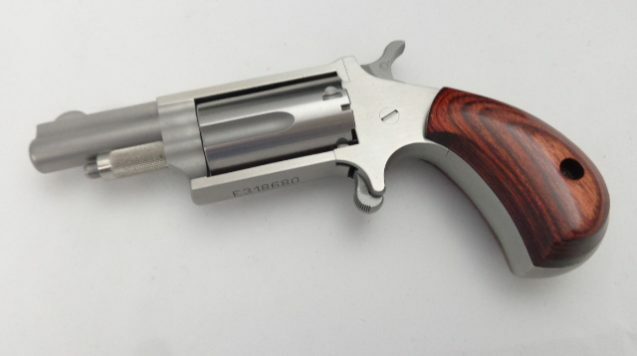 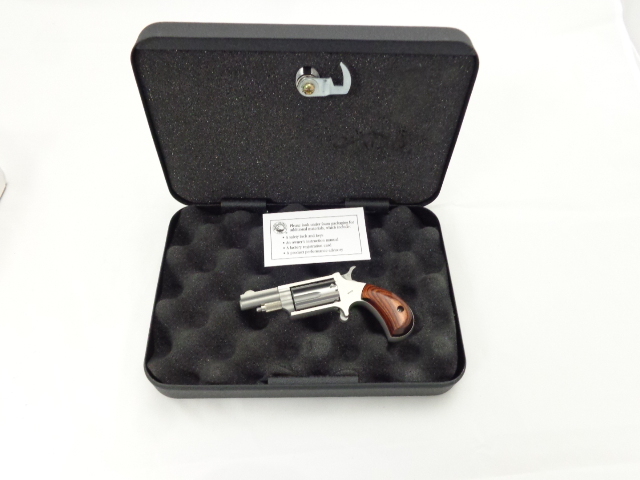 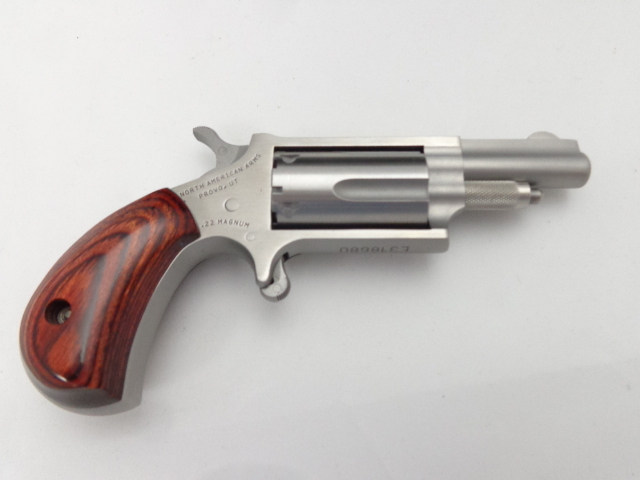 New/Unfired North American NAA-22M, 5-Shot Mini-Revolver in .22 Mag., 1-5/8″ Barrel, Stainless-Steel Frame Rosewood Grips. 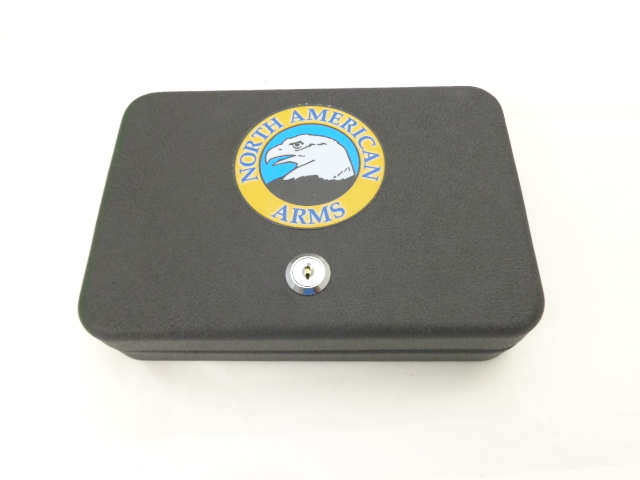 Includes Factory Locked Metal Storage Case, Manual & Mini-Lock & Keys. 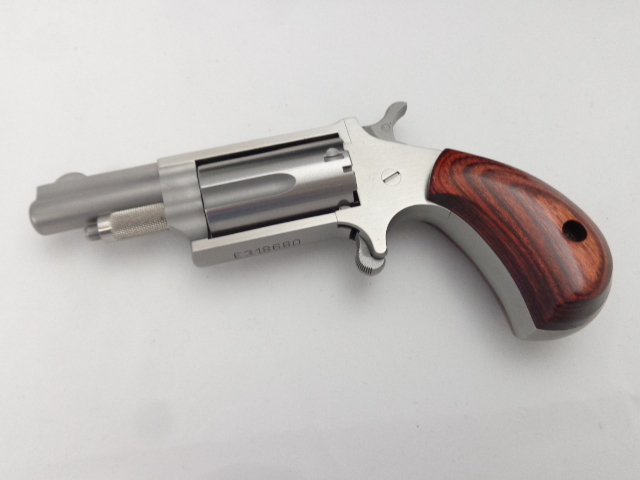 Factory New.